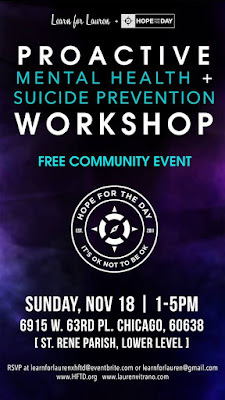 In a neighborhood shaken by suicides—including a recent incident in which a local policeman took his own life at his Garfield Ridge home—understanding and preventing suicide is as important as ever, organizers of a free workshop said this week. Workshop” is set for 1 to 5 p.m. Sunday, Nov. 18 at St. Rene Church, 6815 W. 63rd Place. A number of participants have pre-registered, but walk-ups are welcome, as well. 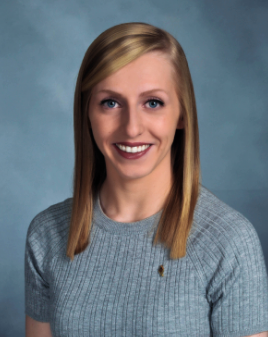 “This workshop is for people who want to learn about suicide prevention and take an active step in an uncertain future,” said Clearing resident Amanda Vitrano, who lost her sister, Lauren, to suicide in October 2017. “They can have the knowledge and be proactive about something that can happen. They will be able to recognize the signs and know what to do if a crisis occurs. Kappa Psi fraternity member and a member of the Rho Chi Honor Society. The main presenter of the workshop is the non-profit Hope for the Day group. “I work in an advertising agency,” Vitrano said. 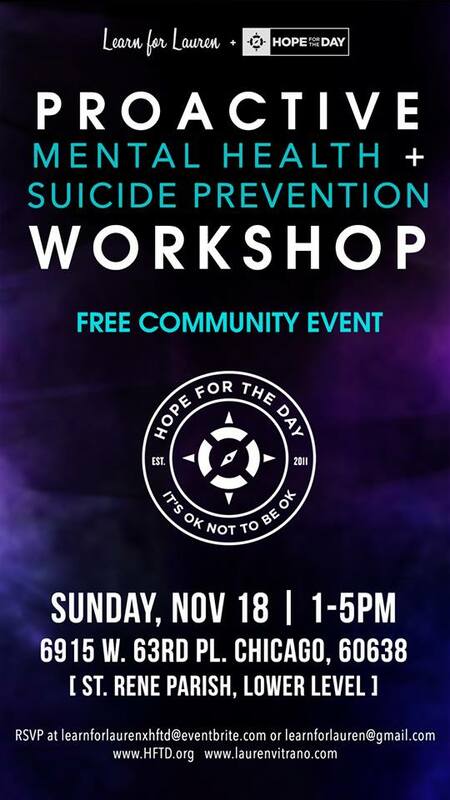 “One day (a year ago) they came into the office and gave us a quick 45-minute suicide prevention workshop. I never had training for suicide prevention before. Hope for the Day was founded by musical show producer Jonathan Boucher, who lost nine people--including his boss, mentor and friend--to suicide before founding the organization in 2011. “They do a tremendous job bringing a voice to what no one wants to talk about,” Vitrano said. 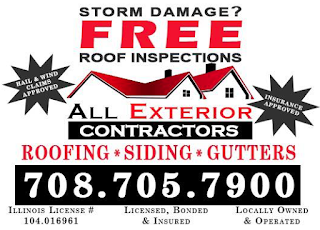 “They have been a tremendous help to my family this past year. Growing up, Vitrano knew next to nothing about suicide other than hearing that it is a sin.